Looking to capitalize on the huge spike in the price of bitcoin, cryptocurrency mining operations are seeking unprecedented amounts of electricity to launch new facilities in Central Washington, attracted by the region’s low power rates. The flood of inquiries from the bitcoin sector presents a huge challenge for public utilities in the region, testing their staff and distribution capacity. On Monday the Chelan County Power Utility District (PUD) said it has pending applications seeking 220 megawatts (MWs) of electrical load to support cryptocurrency mining, and has inquiries in the pipeline for even more capacity. Local officials say the utilities in nearby Douglas County and Grant County have also seen a sharp increase in power requests for bitcoin operations. “The Chelan PUD has received four inquiries of 100MW or more, each of which will take detailed study if a formal application is submitted,” the Chelan PUD said in a statement. “Additionally, there are multiple inquiries in the 10-50MW range and ongoing interest in small ‘hobby’ connections.” All told, the utility received 75 inquiries for high-density loads (HDLs) between Oct. 17 and Dec. 17. That coincides with the sharp rise in the price of bitcoin, which was $5,950 in mid-October and surged above $19,000 in mid-December before settling at its current range between $13,000 and $15,000. The price spike has created something of a frenzy around bitcoin and related cryptocurrencies like Ethereum and Ripple, many of which have seen even large gains than bitcoin. Higher prices have boosted the ambitions of mining operations, who typically seek out cheap electricity to power their specialized IT equipment. As mining has become more attractive, the Chelan PUD has been flooded with requests for power. “It’s a dilemma for us,” said Suzanne Hartman, communications manager at the Chelan PUD. “We do have power available, but the requests we’re seeing of more than 200 megwatts is equivalent to our normal average load. We have to weigh those requests against the needs of our existing retail base.” The average Chelan County retail load is about 200 MW, with a winter peak of 491 MW set in January 2017 (which was driven by weather). The situation in Chelan County illustrates the challenges posed by the expansion of the bitcoin network and its growing use of power. Electrical infrastructure is expensive, and typically pays off over years rather than months. The volatile nature of bitcoin and other cryptocurrencies raises questions about the industry’s long-term stability as a utility ratepayer. At the same time, many see the blockchain as an ascendant technology that could play a key role in global finance in the future. The recent interest in Central Washington and other areas with cheap hydro-electric power (including Quebec and areas of China) has the potential to make the bitcoin network greener as it expands, moving more of its transaction processing from coal-powered electricity to renewable sources. Bitcoin is a digital currency developed in 2009 by a mysterious programmer named Satoshi Nakamoto. The currency is based on a public ledger known as the blockchain, with each transaction verified using cryptography, which requires computing power. Bitcoin incentivizes computer users to process transactions by offering financial rewards paid out in virtual currency (hence the “mining” nomenclature). As users share more computing power with the network, they improve their chances of earning rewards. After starting as a distributed network of PCs, the bitcoin blockchain infrastructure became industrialized, with huge mining operations emerging. Custom hardware was developed for bitcoin mining, using specialized semiconductors known as ASICs (Application Specific Integrated Circuits). This also led to a new breed of computing facilities featuring high-density hardware, low-reliability electrical infrastructure and off-the-shelf enclosures. These “hashing centers” often are built in old warehouses and house servers on shelving from hardware stores. Chelan County has become the front line for these hashing centers in the United States. 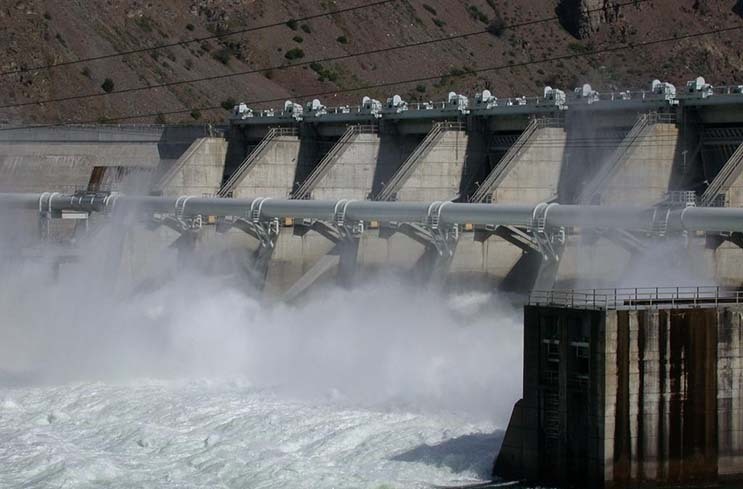 The Chelan PUD has some of the lowest power costs in the country, supported by a supply of hydroelectric power from dams along the Columbia River. That’s made it a magnet for bitcoin mining operations, who seek cheap electricity to process transactions on a global electronic ledger. In Chelan, electric power is available for as little at 2.7 cents per kilowatt hour (kWh). 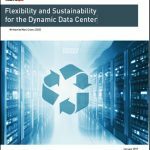 The price of power in Washington State is a key factor in the creation of a data center cluster in Quincy, a rural town of 7,200 residents. Quincy is home to six major data centers spanning about 2 million square feet of space, including cutting-edge facilities operated by Microsoft and Yahoo. Enterprise users include Intuit and Dell, while Quincy also has two wholesale data center operators, Vantage and Sabey. The applications for power capacity for mining operations are focused on Wenatchee and Entiat, two towns adjacent to the Rocky Reach dam, a hydroelectric generating facility on the Columbia River. Wenatchee has applications for 110 megawatts of power from prospective HDL customers, while Entiat has 100 megawatts of permit requests. The Chelan PUD says it will take some time to work through the requests. The volume of inquiries has “placed significant strain on PUD staff resources,” according to John Stoll, Customer Utilities managing director. The utility is seeking to hire three engineers to help it work through its demand requests. Most of the requests are from companies outside the region who are leasing buildings in Chelan County. But bitcoin companies are also looking at buying property, the utility said. “Local real estate professionals are seeing purchase and sales agreements for property to require guarantees of available power in order to complete a deal,” the PUD reported. The utility said its review process would seek to be fair to both applicants and existing customers. “These reviews don’t happen overnight, and depends upon the kind of load you’re asking for,” said Hartman. “They’ll look at the rate request and consider our existing infrastructure of generation and transmission and substations, and consider the overall impact. Chelan County has some experience with this phenomenon, albeit on a slightly smaller scale. In 2014, the Chelan PUD saw a surge in increase from cryptocurrency mining operations during the first bitcoin boom. In December 2014, the Chelan PUD placed a moratorium on power requests of 1 megawatt or more, and created a working group to weigh the impact of bitcoin mining on the county’s power infrastructure. The utility said it was concerned about the transient nature of cryptocurrency mining operations, and proposed a rate hike for high density customers . Those fears proved clairvoyant. The moratorium insulated Chelan County from a huge shakeout in the data mining sector after the price of bitcoin plunged from $1,100 in late 2013 to just above $200 in early 2015. The price crash wiped out many mining operations, including CoinTerra, CloudHashing and PBMining. After 18 months of analysis and public comment, the Chelan County PUD commissioners approved a new electric rate in July 2016 for customers with high density loads, including server farms and cryptocurrency operations. The new rate includes an upfront charge to offset impacts from new customers and recover “fair and reasonable costs.” It also provides an incentive for applicants to make long-term decisions about their power usage. It’s not just the permitting requests that are taking up staff time, as rogue mining operations are springing up in homes, stressing the residential power infrastructure. In some cases, homes with bitcoin mining operations are using 10 times their normal usage. Hartman said some of the home-based mining operations appeared to be enthusiasts trying their hand at mining, while others appeared to be experienced mining operators seeking access to cheap power.